Most restaurants face a unique challenge when it comes to their accounting and their profit and loss statement. The problem is that there are different numbers of days in every month. Some months have 30 days, some have 31 days, and that pesky February has either 28 or 29 days. This makes it hard to compare financial results from one month to the next — whether you want to compare this month to last month or this month to last year. For most restaurants, the bulk of their sales occur on weekends. So if a month has an extra weekend, P&L comparisons to months with only 4 weekends won’t be very enlightening. Fortunately, there’s a solution to this dilemma: Adopting 13 4-week accounting. This cycle consists of 13 accounting periods of 4 weeks (or 28-day months) instead of the typical 12 calendar months. This compliments the weekly cycles used in most restaurants for other purposes and makes comparisons of financial performance from month to month more useful. More relevant comparison of financial performance between months — As noted above, there are severe limitations to comparing a restaurant’s P&L performance from month to month when calendar-year accounting is used. Adopting 13 4-week accounting eliminates this problem because the P&L for every “month” reflects sales and expenses for the same number of days of the week. While this might not be important for every business, it’s critical for restaurants because of the large volume of sales that typically occur on weekends. Better inventory planning — Many restaurants perform monthly inventory on the last day of the month. If this falls on a slow day like Monday or Tuesday, it might not be a problem. But if it’s on a Friday or Saturday, there’s a good chance that employees will be too busy to conduct an accurate product count. With 13 4-week accounting, you can end your month on whatever day of the week you want. So, if Monday is usually your slow day, you can designate this as your last day of the month. This can help ease the stress that often accompanies end-of-month inventory counting. Simplifies cost monitoring — The most successful restaurants closely monitor their costs — such as labor, food and beverages — each week. Using 13 4-week accounting puts your P&L on the same weekly cycle as your physical inventory and cost report. Synchronizes the P&L with payroll preparation — Most restaurants run payroll every other week. If their P&L is produced on a standard monthly basis, this means they must accrue an extra two days (in a 30-day month) or three days (in a 31-day month) of payroll each month to accurately reflect payroll expenses. Using 13 4-week accounting eliminates this problem. Each month’s P&L will reflect 28 days’ payroll and 28 days’ sales. This makes it simpler to account for payroll and ensures that payroll is reflected more accurately on the P&L. Synchronization with bank statements — Bank statements are usually produced on a calendar-month basis. Talk to your bank and see if they will change your monthly cut-off date to accommodate a 13 4-week accounting cycle. Or better yet, use online banking to prepare reconciliation whenever you want, instead of waiting for a mailed monthly statement. Synchronization with other business expenses — Most business expenses like the rent or mortgage payment and utilities are paid on a calendar-month basis. You can solve this problem by using a spreadsheet to expense 11/12th of monthly payments. You’ll then put 1/12th in a prepaid account and expense the pre-paid account balance into your 13th period. Payment of sales taxes — In California, sales taxes are usually paid monthly or quarterly depending on the size of the business, revenue and sales tax collected. Limitations of accounting software — Some older accounting software packages don’t allow a 13 4-week accounting cycle. If yours doesn’t, you should upgrade to a package that does, like Restaurant365. Most restaurants face a unique challenge when it comes to their accounting and their profit and loss statement that makes it hard to compare financial results from one month to the next. The solution is to adopt a 13 4-week accounting cycle. This cycle compliments the weekly cycles used in most restaurants for other purposes and makes comparisons of financial performance from month-to-month more useful. 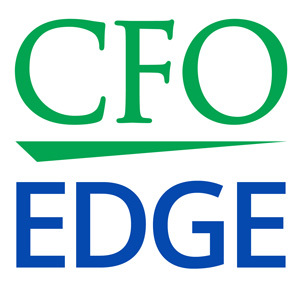 Acting in the role of a part-time CFO or project CFO, an on-demand CFO partner can help you analyze the benefits of adopting 13 4-week accounting.